You can't trust the weatherman. McDonald’s brings to life April’s unpredictable weather through a digital outdoor campaign that uses real-time MET Office data. 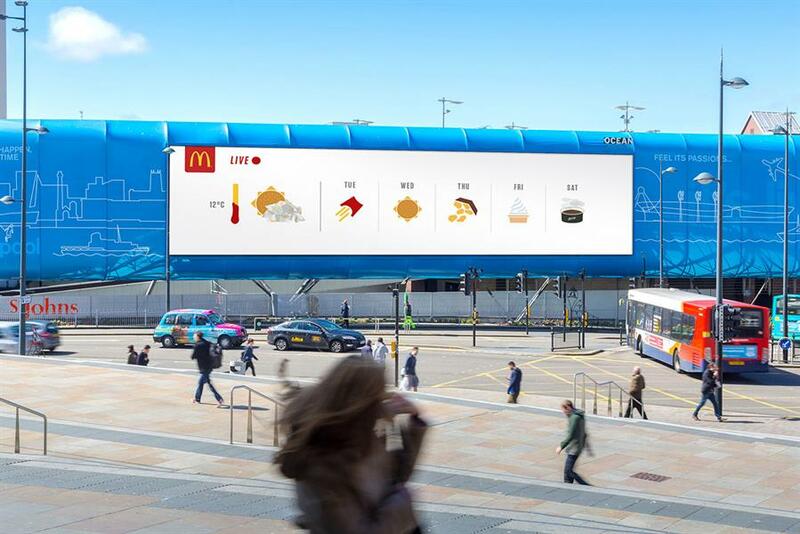 Leo Burnett London turned the McDonald’s menu into weather icons – for example an unwrapped burger represents the sun, while an upturned box of fries signifies rain. It is running this week across the country with tasty forecasts. The campaign was created by Ben Newman and Liane Dowling, produced by Grand Visual, and media planning and booking was by OMD and Talon.